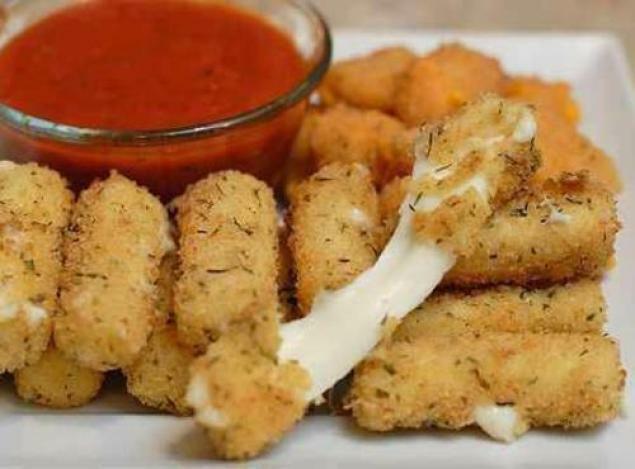 Cut Mozzarella Sticks in half and freeze. Dredge cheese in flour, then beaten egg, then the breadcrumbs and place on a sprayed cookie sheet. Bake at 400 degrees for about 4 minutes, checking to make sure they don’t melt. Serve with Cannizzaro Marinara or Cannizzaro Arrabbiata! You can freeze breaded cheese sticks and bake them frozen when you are ready!